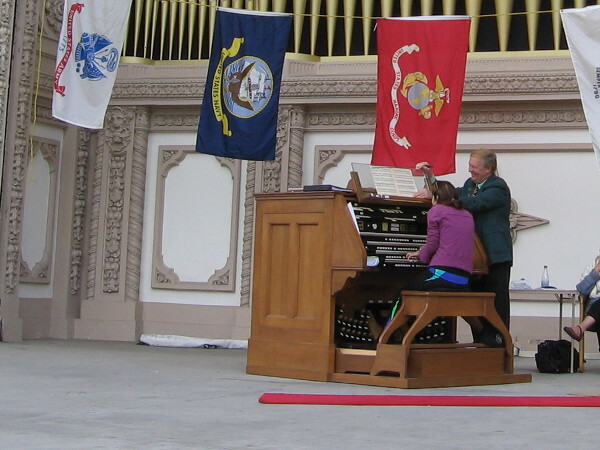 Spreckels Organ raises funds for Operation Rebound. – Cool San Diego Sights! 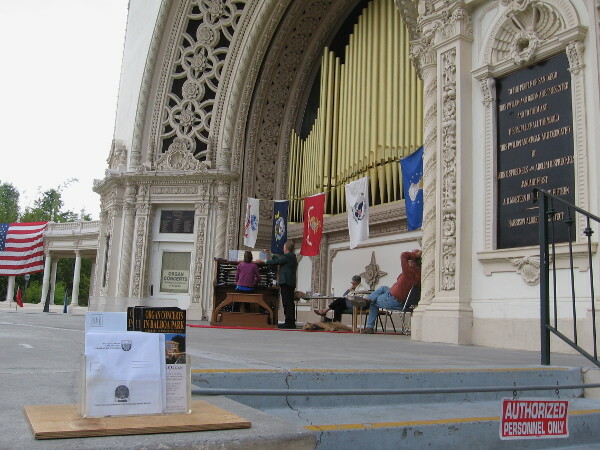 Jeff, a challenged athlete who benefits from Operation Rebound, at a special marathon Spreckels Organ concert. Right now I’m sitting at my computer on Cortez Hill, not far from Balboa Park. Sometimes I imagine–for a brief moment–that I can hear music drifting in through the window. Whether my ears are deceiving me or not, I do know that the huge Spreckels Organ is booming across the beloved urban park at this very exact moment. How do I know this? Because San Diego’s own Civic Organist, Dr. Carol Williams, is playing the king of musical instruments today for twelve and a half hours straight! In addition to setting a new official Guinness World Record for organ playing, she’s raising money for Operation Rebound! Operation Rebound is a division of the Challenged Athletes Foundation. They help American military personnel, veterans and first responders who face permanent disability, but who have a passion to compete in sports. An active lifestyle can help greatly when it comes to both mental and physical health. Here is their website. 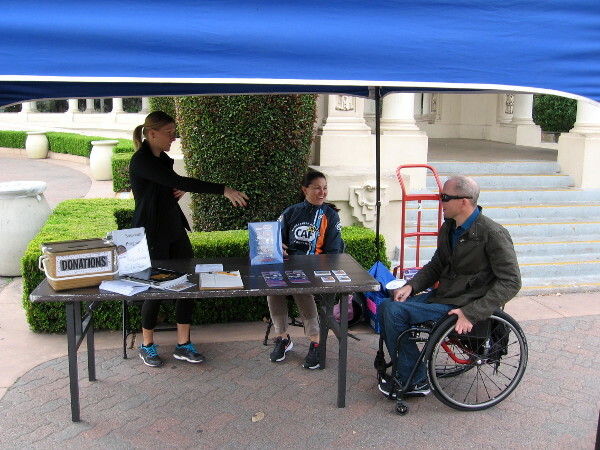 The unique event today at the Spreckels Organ Pavilion helps to raise money, so that wounded warriors can obtain expensive prosthetics, specialized equipment, and funds for travel as they compete in sporting tournaments. It is a most worthy cause. You can donate right now! Even a few bucks helps! To do so, click here! 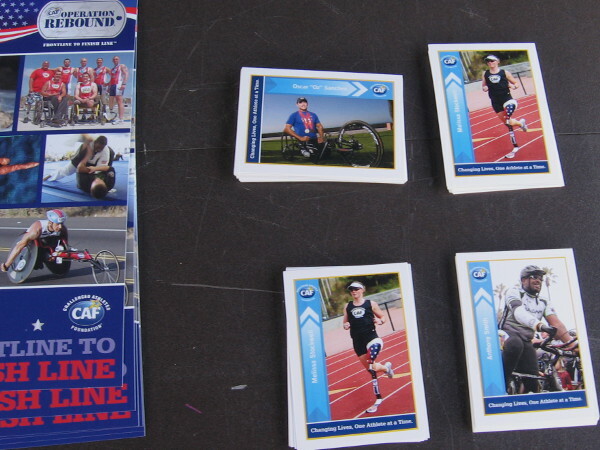 Operation Rebound table had images of wounded warriors who have turned or returned to sport. This organization helps challenged athletes with their expenses. Dr. Carol Williams, San Diego’s Civic Organist, is playing for over 12 hours to help raise money, plus to set a new world record! 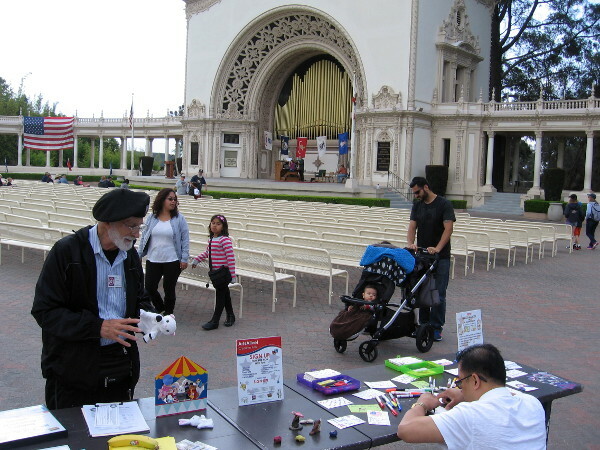 The beautiful Spreckels Organ Pavilion in Balboa Park is the scene of an important Memorial Day weekend event. Jeff talks movingly about how Operation Rebound has helped him. 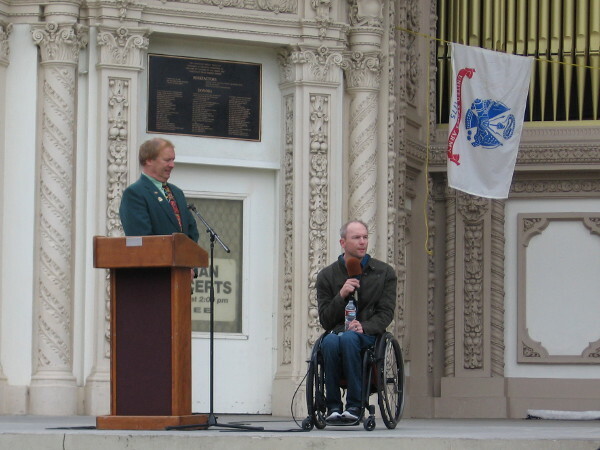 Wounded warriors who engage in sports often need funds for prosthetics, travel to tournaments, and special equipment. 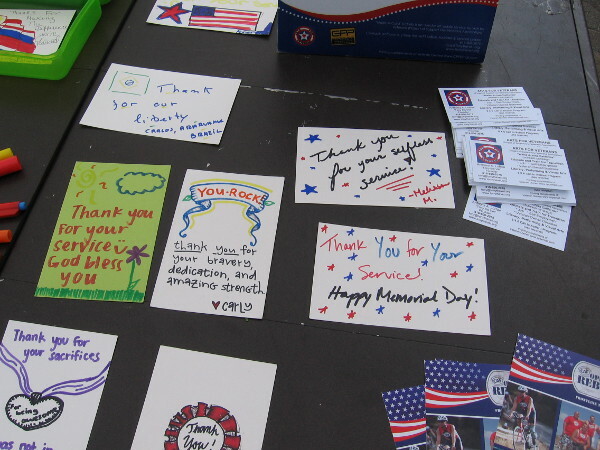 At a table nearby, people were creating greeting cards that thank our troops for sacrificing for our freedom. One handmade heartfelt card reads: You Rock! Thank you for your bravery, dedication, and amazing strength. What a wonderful cause! Wish I was there to hear it. I find out about many by checking San Diego website events calendars–I’ve got several bookmarked! When it comes to a few cool events, like something I saw this morning, I just get plain lucky while walking around! I just had a brilliant idea! I bet if someone were to create a comprehensive blog about upcoming San Diego area events that benefit our troops, veterans or military families, a lot of people would really find it useful! I don’t know if any such website currently exists! Previous Previous post: Students interview veterans for USS Midway exhibit. Next Next post: Spreading cheer and good deeds in San Diego.